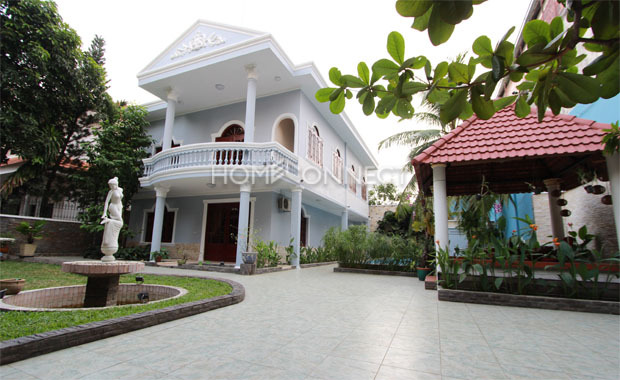 This grand classical-style villa for rent in Ho Chi Minh City is 500-square meters in total area. 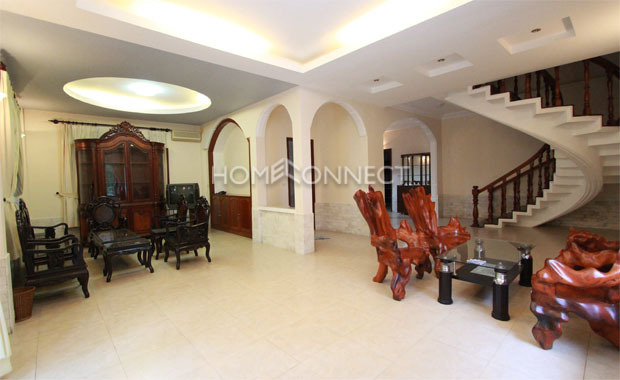 This partially furnished home contains four bedrooms covered in hardwood flooring while its bathroom and main area are overlaid in ceramic tiles. 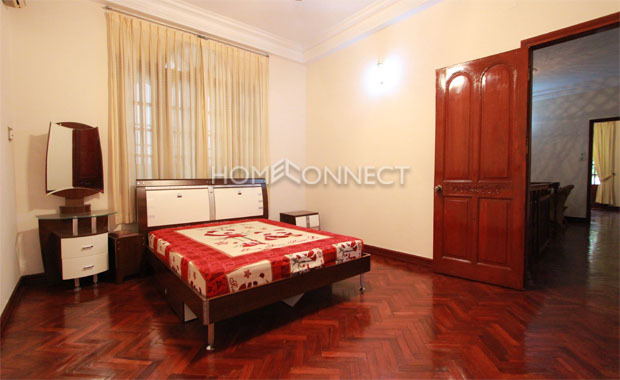 The bedrooms comprise of beds of various sizes, wardrobes, and air conditioning systems. 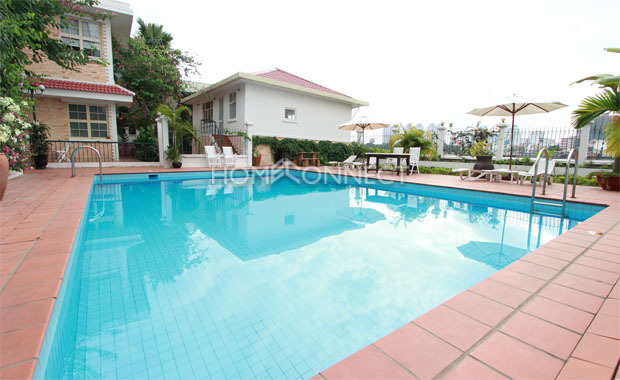 The master bedroom includes a built-in bathroom and walk-out balcony that overlooks the swimming pool and neighborhood. The bathroom is fixed with showers and bathtub. 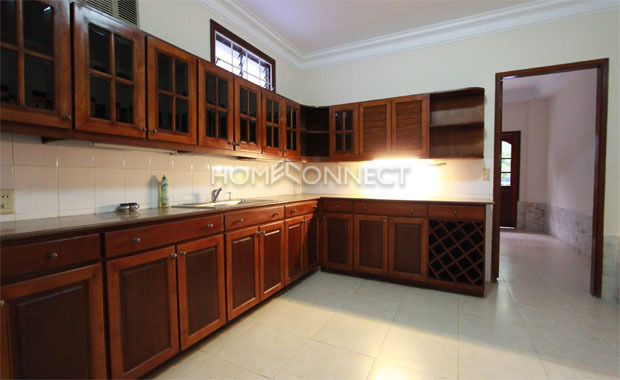 The kitchen is neatly designed with quality wooden cabinets and spacious marble countertops. 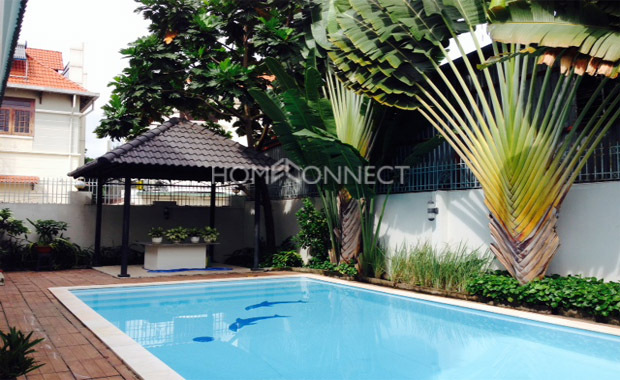 The focal point of this villa is the recreational area which is embodied by natural greens of tropical coconut trees and exotic plants. 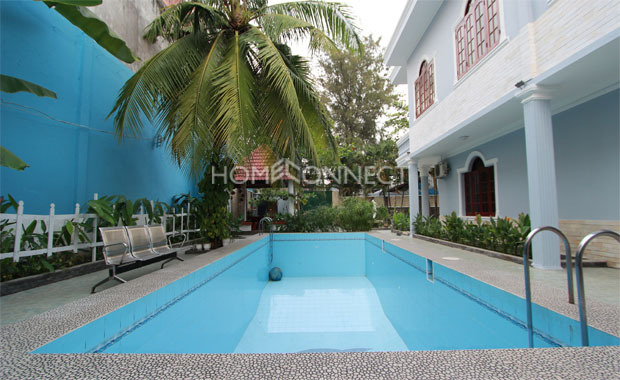 Facilities include a large swimming pool, patio hut, laundry, broadband internet connection, and cable TV. 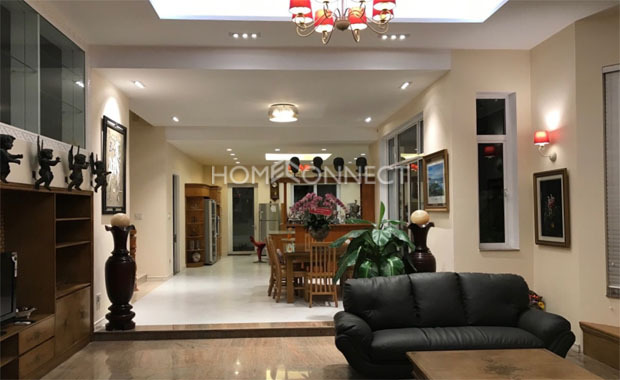 Location of this grand classical-style villa in Ho Chi Minh City is located in a very popular area among expatriates due to its easy access to international schools such as the British International School and International School of Ho Chi Minh City. 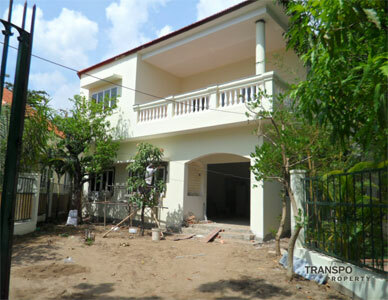 A short walk is all it takes to get to An Phu supermarket, Thao Dien Village Spa and Restaurant, local coffee houses, pubs, and restaurants.